I have just published my ebook on Newton’s third law of motion with multi-touch features. 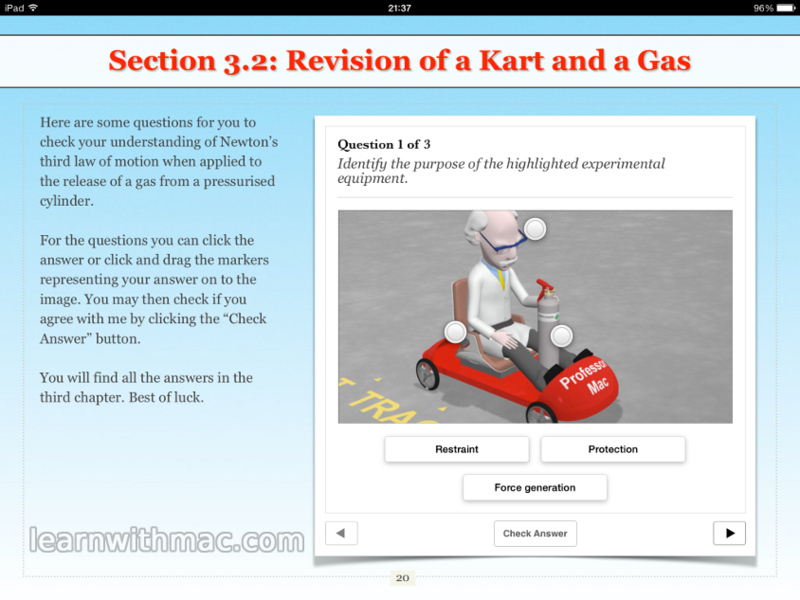 This version of my ebook is designed for use on iPad with full multi-touch goodness. Many of the images are interactive. You simply touch the hotspots on the images and the ebook zooms in to reveal additional information. The ebook also contains higher resolution images and videos compared to my epub version. 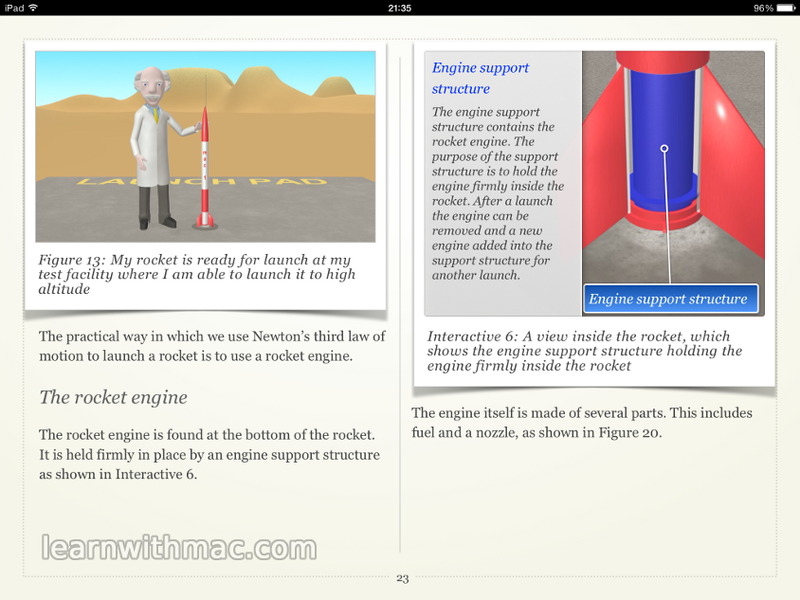 The epub version is designed for use on smaller screens such as iPhone and iPod touch. I create these ebooks using iBooks Author which is a software program made by Apple for creating fixed page format ebooks for iPad. With the recent update of the Mac OS X operating system to Mavericks you can also view these ebooks directly on your Mac. The multi-touch features work on Mac as well as iPad, although you use your mouse instead of your finger. I have implemented review questions in this ebook. You tap the answer you think is correct and then easily check your answer with the tap of a button. It also contains over eleven minutes of HD quality animation where I teach the secret of understanding Newton’s third law of motion. You can get the book by clicking the link below. learnwithmac.com by Iain McGregor is licensed under a Creative Commons Attribution-NonCommercial-NoDerivatives 4.0 International License. learnwithmac.com © 2019. All Rights Reserved.